An attack years ago on Laney Knox has left her with a strong desire to keep herself physically safe. However, her job at Delphi Center often sends her hacking into some very dark areas. Unfortunately, a friend from her former job has been murdered and Laney is determined to help any way she can. Reed Novak wants to solve the case, but he worries Laney may be endangering herself. Can they find a way to work together to solve the murder? And will the spark of attraction between them flame into something much hotter? DEEP DARK is the tenth book in the phenomenal Tracers series but can easily be read as a standalone. 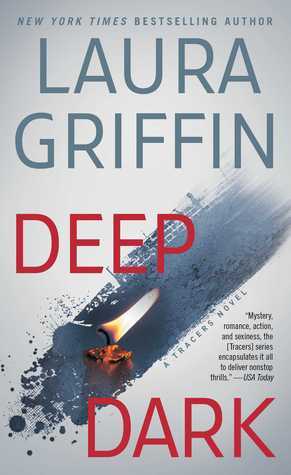 Laura Griffin never fails to write a top notch romantic suspense story and she is easily one of my favorite authors in the genre. DEEP DARK gives readers a glimpse at the darker side of technology. I love how Laura Griffin incorporates hacking into the storyline and it has definitely made me reassess just how much access I allow technology into my life. The romance between Laney and Reed is smoking hot! I like that Laura Griffin doesn’t gloss over the differences between them because of their ages while still showing their love thriving. In fact, the romance between Laney and Reed might be my favorite yet of Laura Griffin’s books! DEEP DARK is yet another winner from Laura Griffin. If you love romantic suspense that is just a little bit edgy, don’t hesitate to give DEEP DARK a try. Highly recommended!